We’ve developed a Community Challenge for Welsh Baccalaureate learners in schools. The challenge can be completed as part of the Ks4 National / Foundation qualification, and you can find our Challenge Brief on the WJEC website. Our challenge involves delivering training to other young people about children and young people’s rights and the role of the Children’s Commissioner for Wales. The training will improve other young people’s understanding of their rights and the Commissioner and her work. To help you prepare for your challenge you can use our website to research children’s rights and the work of the Commissioner. You can also download our children’s rights poster. We’ve also developed some activity guidance with some top-tips about introducing children’s rights in your school. Contact us to let us know you’re completing the challenge, or send us a tweet. 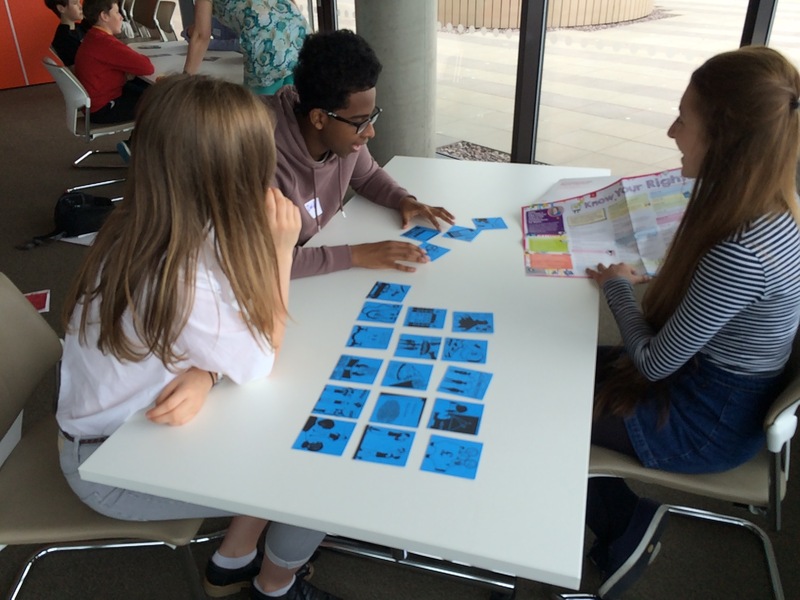 You can also receive extra resources and stay involved with our work by joining our free scheme for secondary schools, Student Ambassadors.